The Republic of Moldova is perhaps best known for its impressive wine – something it’s produced for thousands of years – and its former status as one of the 15 Soviet republics. If you’re scratching your head and feeling geographically-challenged about where Moldova is in Europe, rest assured that others are often perplexed too. In the UK, a family board game called Where is Moldova even exists. 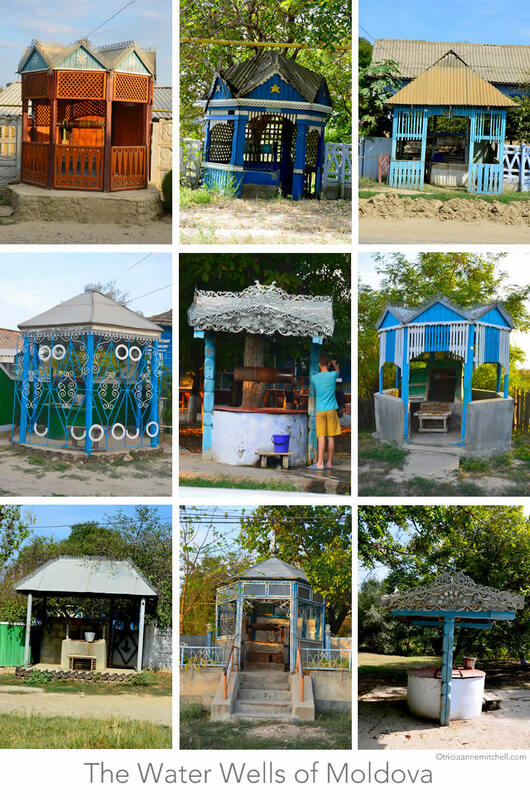 When we arrived to Moldova one week ago, I also became quite taken by its gingerbread-like homes in all shades of blue and its intricately-decorated water wells, most of which are still in use in Moldovan villages. In Moldovan, the wells are known as fîntînă. The wells are a ubiquitous site in the village of Rosu. Some are more basic, with only the requisite equipment and roof overhead, whereas others wear latticework, twisted iron adornments, even hand-cut metalwork depicting the silhouettes of people, flowers and flourishes.